Billings is the largest city in the State of Montana, and is the principal city of the Billings Metropolitan Area with a population of 166,855. It has a trade area of over half a million people. 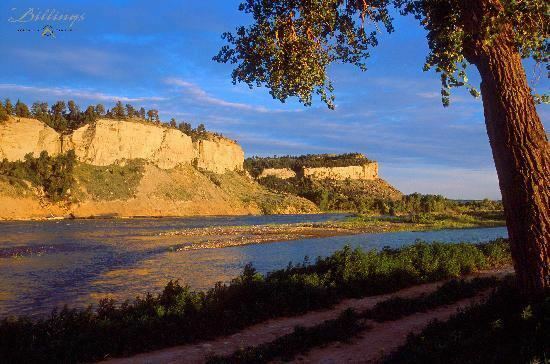 Billings is located in the south-central portion of the state and is the county seat of Yellowstone County, which had a 2014 population of 155,634 The 2013 Census estimates put the Billings population at 109,059 the only city in Montana to surpass 100,000 people. The city is experiencing rapid growth and a strong economy; it has had and is continuing to have the largest growth of any city in Montana. Parts of the metro area are seeing hyper growth. From 2000 to 2010 Lockwood, an eastern suburb of the city, saw growth of 57.8% the largest growth rate of any community in Montana. Billings has avoided the economic downturn that affected most of the nation 2008–2012 as well as avoiding the housing bust. With the Bakken oil play in eastern Montana and western North Dakota, the largest oil discovery in U.S. history, as well as the Heath shale oil play just north of Billings, the citys already rapid growth rate is escalating. Billings was nicknamed the Magic City because of its rapid growth from its founding as a railroad town in March 1882. The city is named for Frederick H. Billings, a former president of the Northern Pacific Railroad. With one of the largest trade areas in the United States, Billings is the trade and distribution center for most of Montana, Northern Wyoming, and western portions of North Dakota and South Dakota. Billings is also the retail destination for much of the same area. With more hotel accommodations than any area within a five-state region, the city hosts a variety of conventions, concerts, sporting events, and other rallies. Area attractions include Pompeys Pillar, Pictograph Cave, Chief Plenty Coups State Park, Zoo Montana, and Yellowstone Art Museum. Within 100 miles are Little Bighorn Battlefield National Monument, Bighorn Canyon National Recreation Area, Red Lodge Mountain Resort, and the Beartooth Highway, which links Red Lodge to Yellowstone National Park. The Crow Indians have called the Billings area home since about 1700. The present day Crow Nation is just south of Billings. Billings is located at 45°47?12?N 108°32?14?W (45.786553, ?108.537139), with two-thirds of the city being in the Yellowstone Valley and the South Hills area and one-third being in the Heights-Lockwood area. The city is divided by the Rims, long cliffs, also called the Rimrocks. The Rims run to the north and east of the downtown core, separating it from the Heights to the north and Lockwood to the east, with the cliffs to the north being 500 feet (150 m) tall and to the east of downtown, the face rises 800 feet (240 m). Billings elevation is 3,126 feet above sea level. The Yellowstone River runs through the southeast portion of the city. According to the United States Census Bureau, the city has a total area of 43.52 square miles (112.72 km2), of which, 43.41 square miles (112.43 km2) is land and 0.11 square miles (0.28 km2) is water. 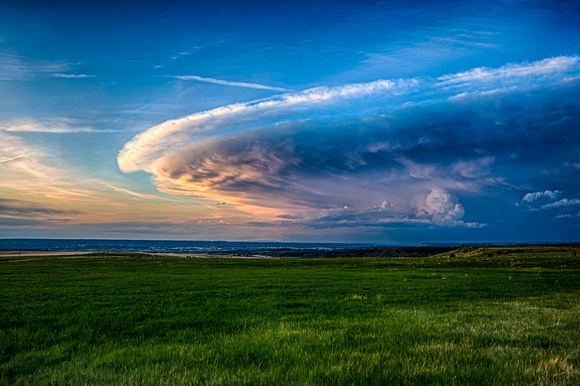 Around Billings, six mountain ranges can be viewed. The Bighorn Mountains have over 200 lakes and two peaks that rise to over 13,000 feet (3,960 m): Cloud Peak (13,167 ft, 4013 m) and Black Tooth Mountain (13,005 ft, 3964 m). The Pryor Mountains directly south of Billings rise to a height of 8,822 feet and are unlike any other landscape in Montana. They are also home the Pryor Mountain Wild Horse Range. The Beartooth Mountains are the location of Granite Peak, which at 12,807 feet (3,904 m) is the highest point in the state of Montana. The Beartooth Highway, a series of steep zigzags and switchbacks along the Montana–Wyoming border, rises to 10,947 feet. It was called "the most beautiful drive in America" by Charles Kuralt. The Beartooth Mountains are just northeast of Yellowstone National Park. The Crazy Mountains to the west rise to a height of 11,209 feet at Crazy Peak, the tallest peak in the range. Big Snowy Mountains, with peaks of 8,600 feet, are home to Crystal Lake. The Bull Mountains are a low-lying heavily forested range north of Billings Heights. 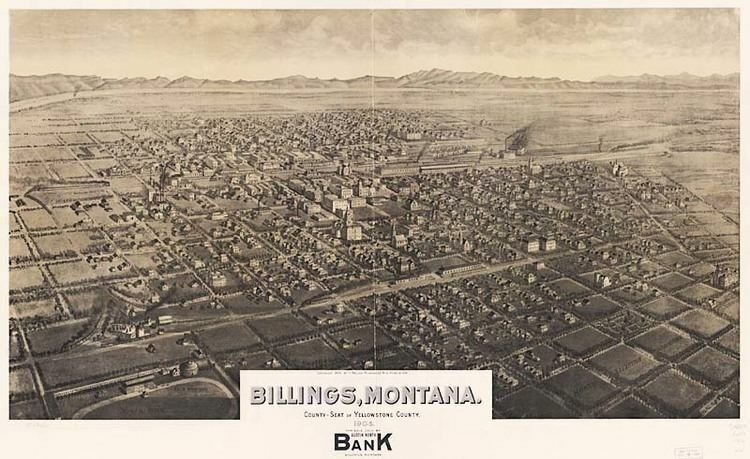 The geographic location of Billings was essential to its economic success. Billings future as a major trade and distribution center was basically assured from its founding as a railroad hub due to its geographic location. As Billings quickly became the regions economic hub it outgrew the other cities in the region. The Billings trade area serves over a half million people. A major trade and distribution center, the city is home to many regional headquarters and corporate headquarters. With Montana having no sales tax, Billings is a retail destination for much of Wyoming, North and South Dakota as well as most of Montana. $1 out of every $7 spent on retail purchases in Montana is being spent in Billings.The percentage of wholesale business transactions done in Billings is even stronger, Billings accounts for more than a quarter of the wholesale business for the entire state, these figures do not include Billings portion of sales for Wyoming and the Dakotas. Billings is an energy center; Billings sits amidst the largest coal reserves in the United States as well as large oil and natural gas fields.